Gently exfoliate and improve dull, uneven skin with Youngevity’s Botanica Spa Delicious Exotic Fruits Peel-Off Mask. Natural papaya and pineapple enzymes, papain and bromelain, improve dull, rough and uneven skin texture my eliminating dead cells and enhancing brightness. Kiwi seeds act as a gentle exfoliate and natural alternative to environmentally-damaged plastic microbeads. 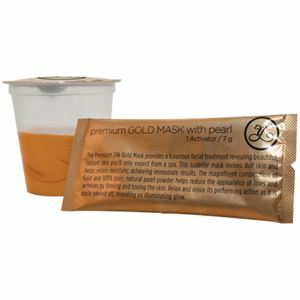 Youngevity’s Botanical Spa Instant Peel-Off Masks were formulated in Paris, using the highest quality ingredients to meet today’s beauty standards. Includes: 1 Delicious Exotic Fruits Peel-Off Mask. Carica papaya L. (Papaya) Fruit Juice Ananas sativus (Pineapple) Fruit, Actinidia chinensis (Kiwi) Seed, Sodium Alginate, Water, Diatomaceous Earth, Glycerin, Benzyl Alcohol, Xanthan Gum, Maltodextrin, Sclerotium Gum, Fragrance, Disodium EDTA, Dehydroacetic Acid, Yellow 6 Lake, Citric Acid.